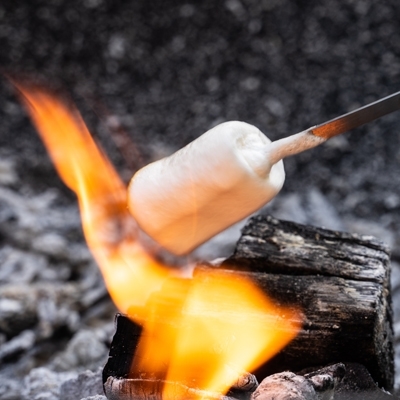 From light and fruity to smooth and creamy – there is no better time for a decadent dessert than on a balmy Summer evening after a barbeque with friends. As the sun goes down and cocktails appear in hand, dip a spoon into a bowl of deliciousness that is sure to leave a sweet taste in your mouth and mind. We’ve gathered together seven indulgent recipes for you to try at home, sure to bring that Summer feeling to the table and have family and guests asking for more. On a beautiful sunny day, there’s nothing better than lunch at Serafino Restaurant in McLaren Vale, nestled among 200-year-old gum trees, wide lakes and rolling hillsides. 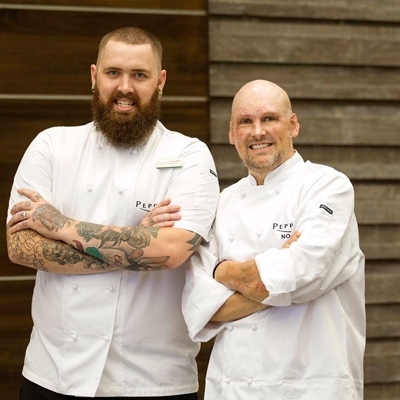 Serafino Chef, Daniel Armon plates up Modern Australian dishes with a distinct French and Italian influence and he shares his recipe for crème fraiche cheesecake with pistachio sable, pear gel, peach sorbet and almond tuile. 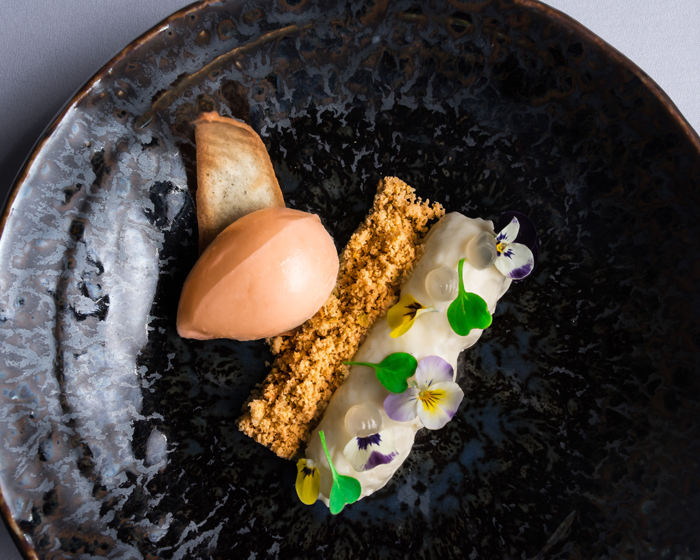 This deconstructed cheesecake is served with pistachio crumb on the side as the base, a quenelle of beautiful peach sorbet – just right for hot Summer days – and almond tuile decoration, while the crème fraiche topping has hints of vanilla and lemon, making it an ideal finish to any leisurely meal. 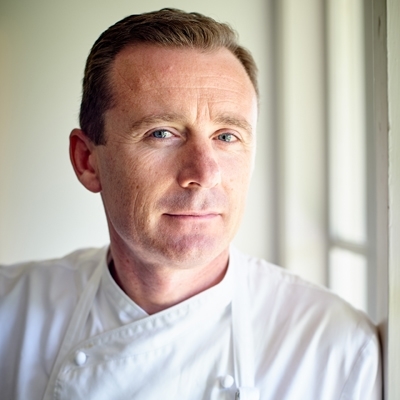 A move north in search of a relaxed Gold Coast lifestyle has brought Simon Capewell (former Executive Chef at The Langham Melbourne) to this corner of the world, making his mark on the leafy suburb of Reedy Creek with The Allotment Cafe. 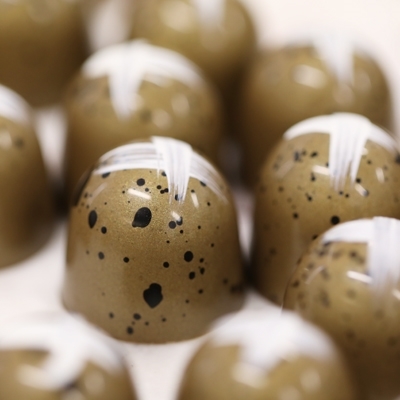 What is a better dessert for hot and humid GC days, than vanilla panna cotta with chocolate soil? 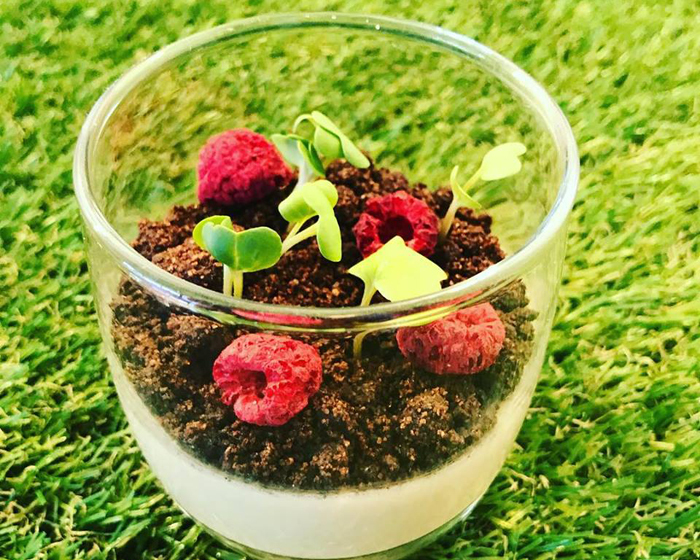 This is an easy recipe to make at home, with the smooth and creamy panna cotta refrigerated overnight for best results and topped with chocolate soil, made from blending your favourite biscuits in a food processor. 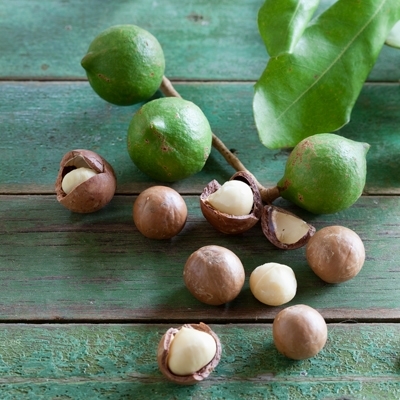 The smell of coconut is synonymous with Summer… from suntan lotion to fruity desserts, the distinct fragrance means only one thing – long, hot, hazy days and nights. 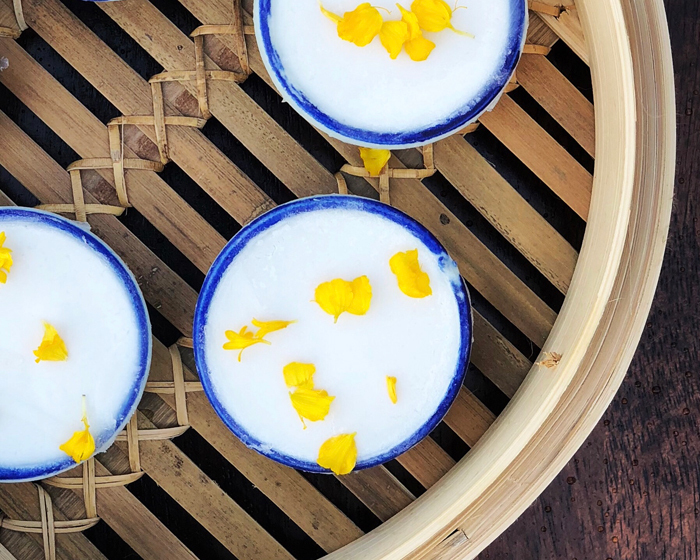 Lane 198 in Gladesville fuses Mod Oz fare with an injection of South East Asia, as seen in this dessert for steamed coconut pudding – cooked and served to the table in saucers and topped with bright yellow edible blooms. Enjoy a drink under the stars on Rhonda’s Bar rooftop space in Terrigal and contemplate a day spent at the beach, before chilling out in white and aqua surrounds ideal for the coastal lifestyle. 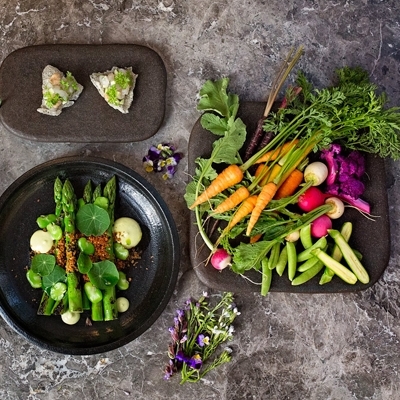 Delivering a modern take on wood fired pizza, breezy cocktails and pasta, Rhonda’s dishes up a recipe for Nutella ravioli, which is sure to be a hit at the dessert table. 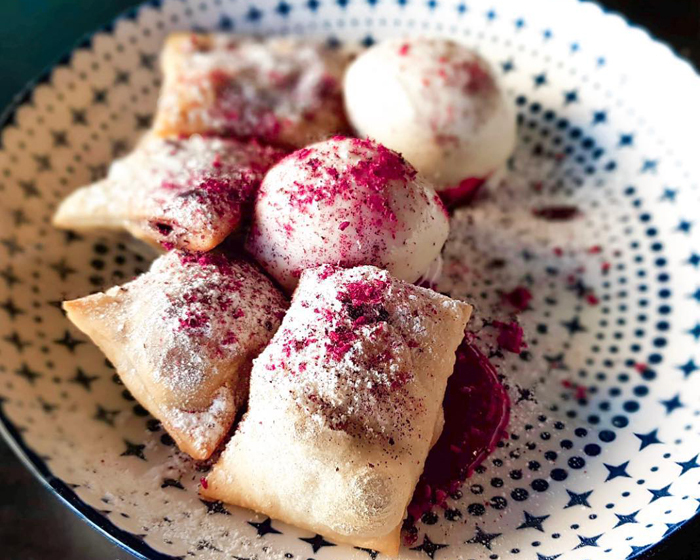 Paired with gelato and raspberry sauce, the richness of the filled ravioli makes for a Summer sweet sensation that takes pasta to a whole new hemisphere! Cannoli is among the most popular pastries in Italy – a crisp wafer tube with a sweet filling that crumbles at the first bite - sending the senses into overload. 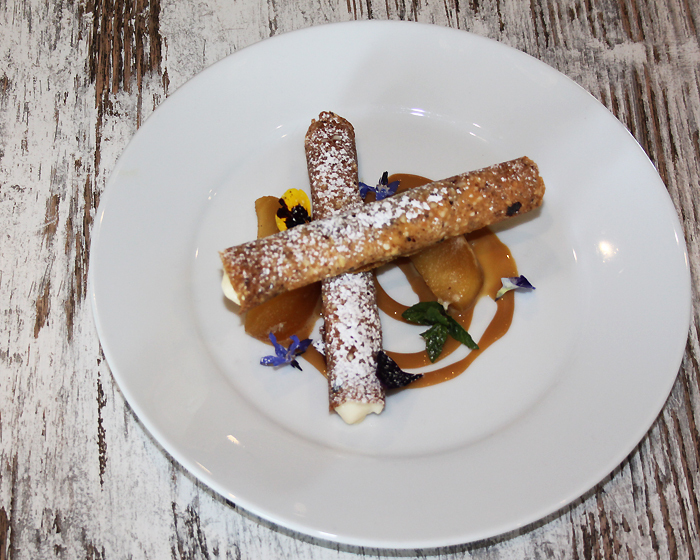 Say salute with a glass of Shiraz at DiVino Ristorante at Mandala Wines in Dixons Creek nestled in the heart of the Yarra Valley, where this recipe for crunchy hazelnut cannoli, apple creme, milk reduction and poached apple takes centre stage. The nutty flavours combined with sharp apple crème and cannoli crunch make sure dinner guests will be talking about this indulgent finish for some time to come. 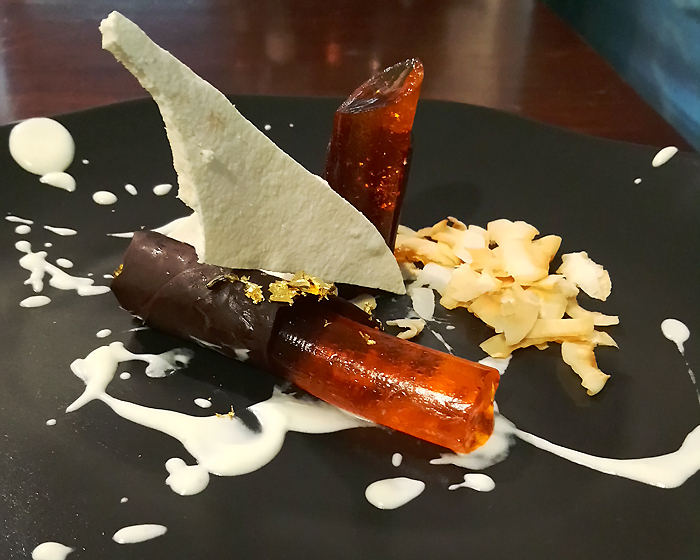 Embracing a new drink on the Aussie market Bear Essentials fruit sliders – a naturally refreshing drop that’s a great choice for hot weather – is this recipe for a mandarin slider jelly cigar with lavender meringue and coconut. Be amazed at this artistic dessert that you've created and taste Summer with the tang of mandarin, from the naturally made fruit juice slider, with a slight marmalade character and smooth citrus after taste. Sparkling wine and strawberries… can you get any more Summer than that? 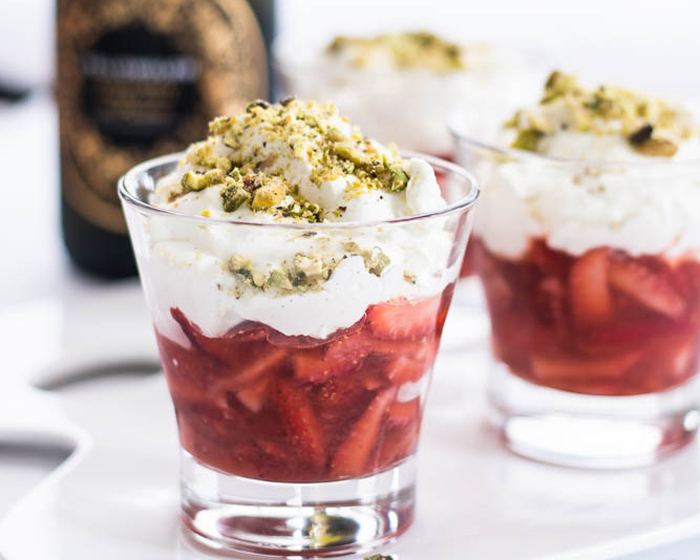 A happy marriage between simple ingredients – strawberries, sparkling wine, creme Chantilly and pistachios – this recipe comes to us from The Spice Adventuress. Any sparkling that is to your palate can be used, as long as it is refreshing, sweet and fruity; while if you are planning on serving this dessert to youngsters, replace the wine with a great tasting non-alcoholic bubbles. For more sensational sweet ideas to wow friends and family, click here.